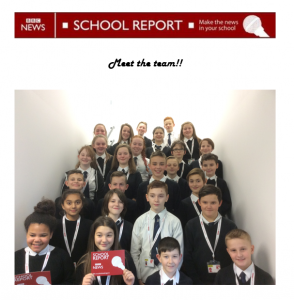 In the first of our featured interviews, several pupils from 1AB2 assumed the mantle of BBC School Reporters, intending to capture opinions on the new school by those attending the Opening Ceremony on Friday 2nd December. Iona, James, Lucy, Carla, Zoe and Konrad were interested in reactions to issues such as the school’s new facilities, the biometric scanning system in operation in Rusty’s Diner and Café and the school’s new location. We interviewed a wide range of staff and visitors but have included James’ interview with Steven Reid, former Deputy Head. James’ interview techniques clearly show he has taken on board many of the Active Listening skills covered in our recent S1 Listening Unit. Well done James. In the near future, we hope to be posting interviews with the school’s Head, Ruth McKay; Modern Studies pupils who have recently visited Cornton Vale in Stirling and of course we will be covering Porty does Strictly.